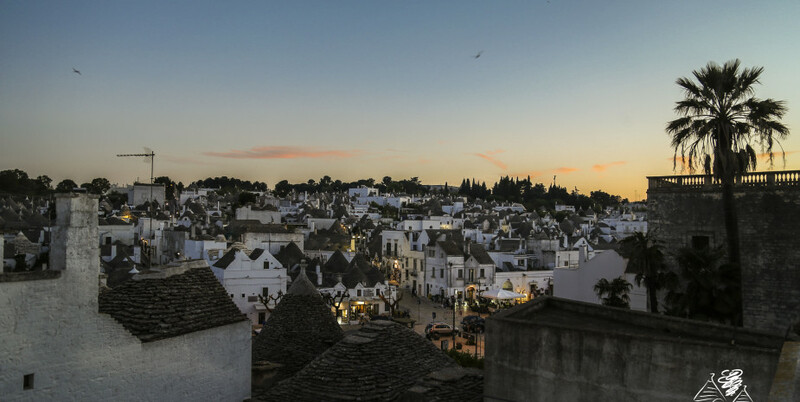 Named UNESCO World Heritage Site, Alberobello is the most famous Puglia city in the world and unique for its peculiarity: being the only city of « trulli ». 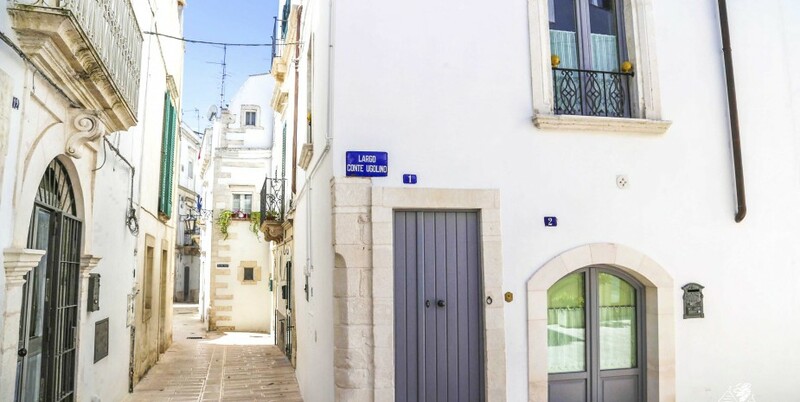 What is a « trullo »? 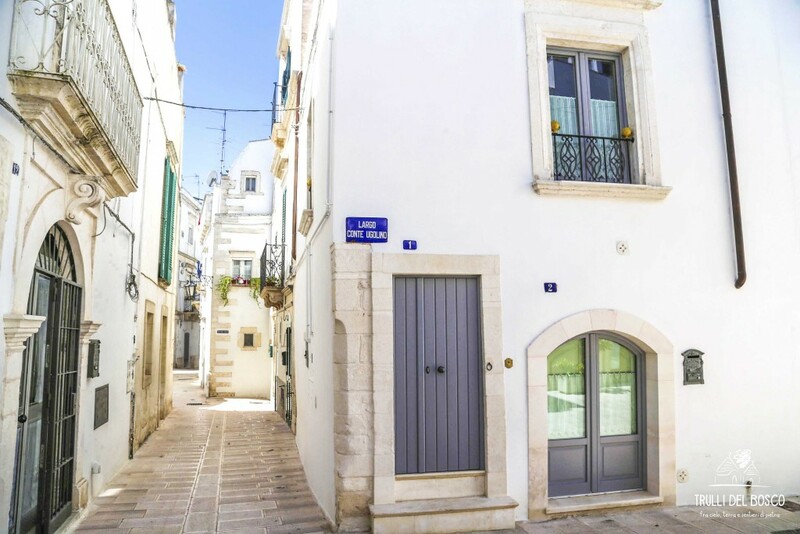 The trullo is a typical Apulian house, conical and built entirely of stone, once home to peasant families. 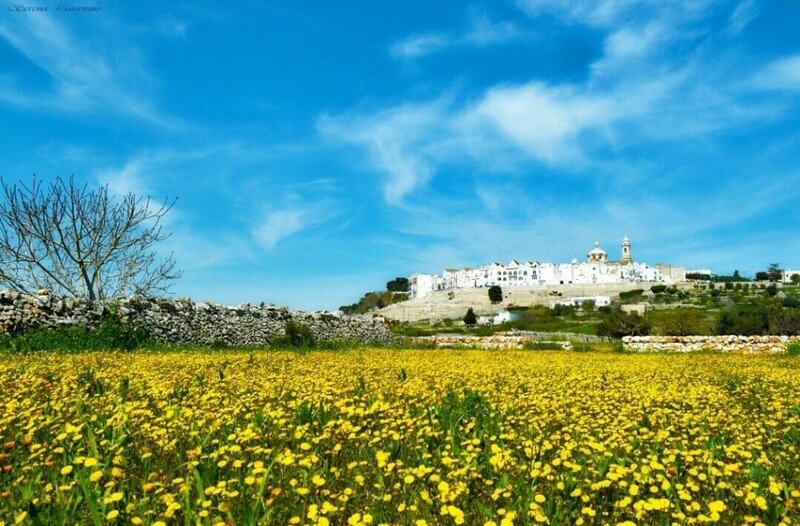 Only in the historic center of Alberobello count almost 1500 trulli today and many others are scattered around the surrounding countryside, abandoned or restored as a holiday home. 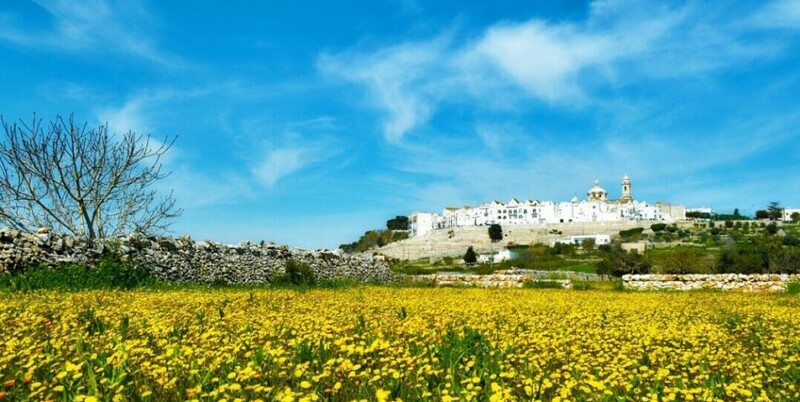 Ostuni rises on the promontories of the Adriatic coast and shines with its white houses just a few steps from the sea. 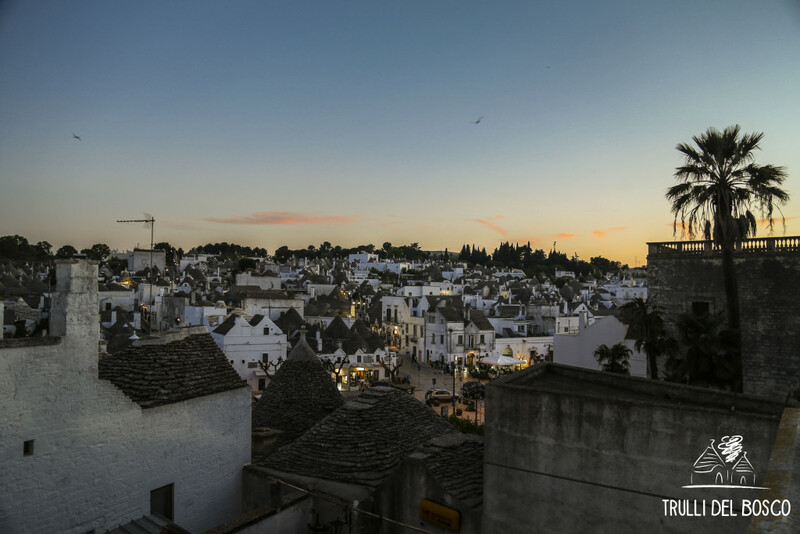 Nicknamed « white city » or « southern pearl », among the cities of Puglia, she is the undisputed queen of beauty and variety of glimpses. Among the most unmissable, from its towers, the view of thousands of centuries-old olive trees extending to the blue of the sea. 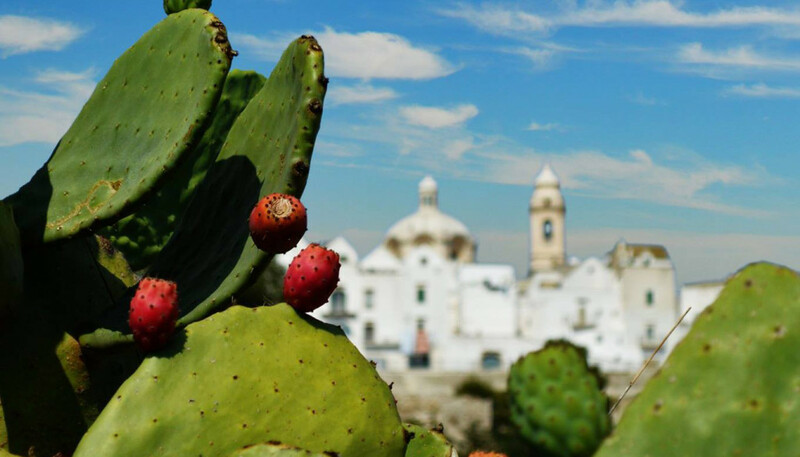 Just a few kilometers from Monopoli, you can not miss Polignano a Mare with its cliff-top houses and the easily accessible boat caves. 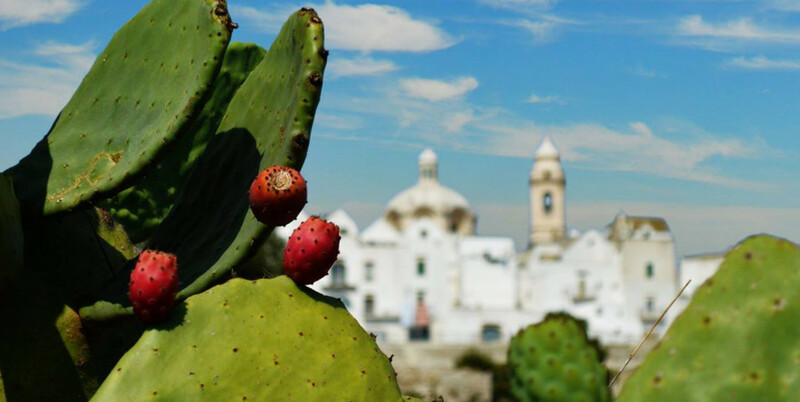 Surely remembered to be the city with the most picturesque corners of Apulia, Polignano a Mare has also been famous all over the world for having given birth to Domenico Modugno, singer and author of the legendary song « Volare ». Imagine walking tens and tens of meters towards the core of the earth and going back thousands of years … you actually find yourself in one of the most spectacular natural caves in Europe: the Castellana Caves. Thanks to the regular dripping of the water underground, over the millennia, stalactites and stalagmites have assumed unique dimensions and shapes. 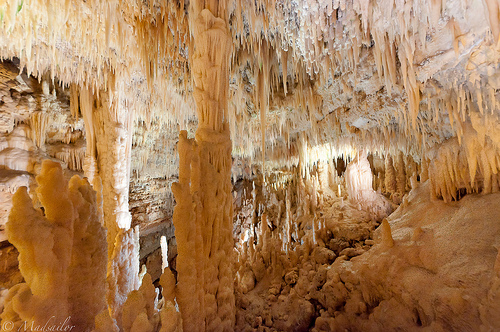 Finally, don’t miss the main attraction of the tour: the « White Cave », a true natural cathedral. Matera is one of the oldest cities in the world and has unrepeatable characteristics, so much so that in 1993 it was named a UNESCO World Heritage Site. Since the Paleolithic age, Matera has been built close to a ravine (a sort of canyon with a small stream at its foot), and here its history has been shaped by the characteristics of this territory. In fact, the inhabitants have chosen to make their own homes natural caves. Thanks to the tuff composition of the caves, the man has created rooms, corridors, mangers, cisterns for the waters, and even, frescoed churches with altars and aisles! 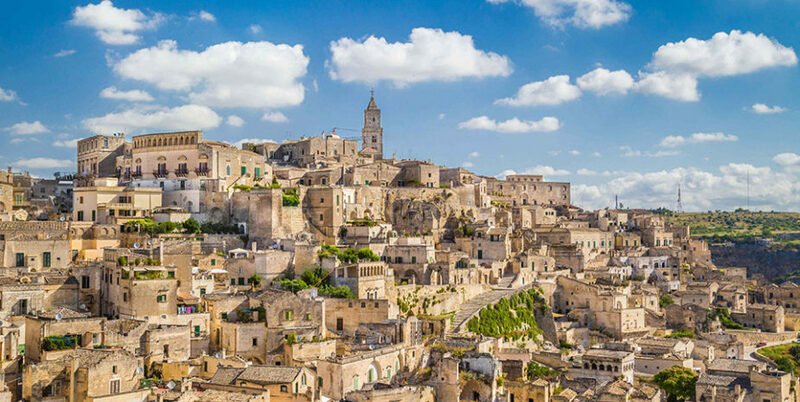 « I Sassi », as the historic center of Matera is called today, continued to be inhabited until the 1950s and many film directors like Pasolini and Mel Gibson were inspired by their exotic charm. Among the great Apulian cities, Lecce is the most fascinating and rich in beauty. Nicknamed « the Florence of the South ». Lecce is characterized by a unique baroque style, the « Baroque of Lecce » for the note. We advise you to visit the Duomo, a theater of architectural beauties in the open, to remain to observe the details of the Cathedral of Santa Croce, the maximum example of the local Baroque, look out on the ruins of the ancient Roman Theater in Piazza S.Oronzo, or taste the typical « caffè leccese » with a drop of « almond milk ». Finally, while strolling through the streets of the center, enjoy the relaxed air you always breathe among the people and the houses of this city with a yellow sand color.